The whole Bible points to Jesus. We need to keep our eyes on Jesus, who both began and finished this race we’re in (Hebrews 12:2). 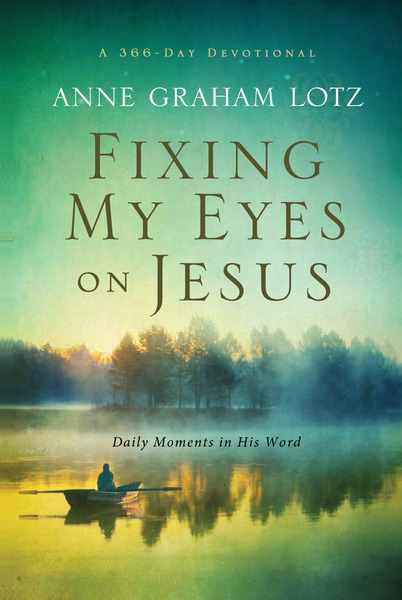 In Fixing Our Eyes on Jesus from award-winning author Anne Graham Lotz, you will read a Scripture and inspirational devotion for each day of the year that will encourage, uplift, renew, and challenge you on your spiritual walk with Jesus. A perfect size for carrying with you on the go, in a beautiful package that also makes this a gorgeous gift for a friend or family member, Fixing Our Eyes on Jesus is the spiritual nourishment you crave.